Most of us look at the world with two eyes. But whenever a person takes a picture, one of them has to be closed. 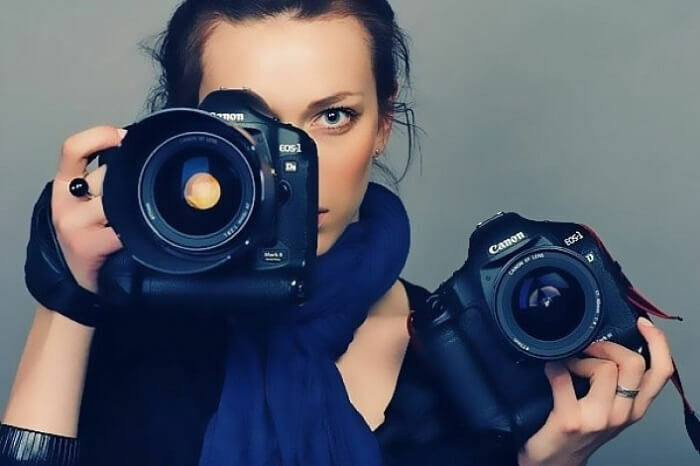 With a few exceptions, cameras do not have two lenses to look through at the same time. These gadgets create an image with a single lens, so results are always two-dimensional. Closing one eye allows a person to see the picture in the same two-dimensional manner as the camera. This can be useful for previewing a photo and starting to learn photography. When you use one eye, you observe relationship between objects in your frame differently. This can be especially useful when creating a portrait or picturing everything that you want to separate from the background. By opening your eyes, you can learn more about what is happening around you. When viewed through the viewfinder, an interesting object can fully absorb your attention. You may not notice something nearby, which can change all the plot. Move closer to the subject or move your model, if possible. Go around and find a shooting point, where you will have a perfect view without distracting details. If there are unnecessary details, use them as a part of composition to enhance the perspective. Open the aperture as much as possible to blur the background. Play with light and shadows, as well as a strong side light to dramatize the mood. Do not allow sharp contrasts of illumination of the subject and background. 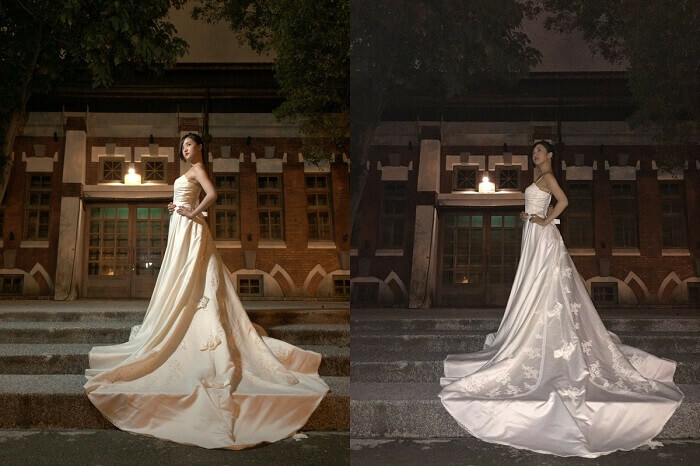 At the same time, do not be afraid to use backlight, possibly in combination with flash. It is possible that an interesting object may disappear before you press the shutter button. It is also possible that your model will stop smiling or just get tired to wait while you adjust your shooting parameters. 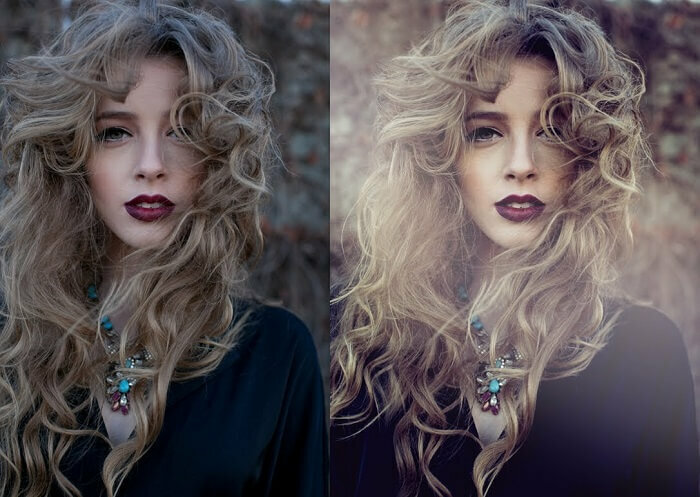 Learn to preset exposure settings and work quickly with focus. This will guarantee presence of a proper focus and exposure. If your camera has a satisfying shutter speed, turn off unnecessary camera functions and try to shoot differently. Release the shutter button one or two seconds before the event culminates. Try to avoid AUTO mode for shooting. If you have a very little experience, and you hardly understand the manual settings of your camera, try new option. In case when you do not have time to select optimal settings in manual mode, it is a good habit to use the scene mode (SCN). You will get a much better result than if you tried to shoot with newly set parameters in manual mode or in fully automatic mode. Always use additional support, even when you think it is not necessary. It is better not to take a picture at all, than to make it with a shaking camera. Do not overwhelm the horizon. Crop the picture carefully, watch the background, do not overload the frame with a large number of objects. Instead of waiting until people take the right position in the frame, try to arrange them yourself as you think is right and nice. Strengthen the perspective using linear objects. Keep in mind the rule of thirds. Every time you shoot a story, take a double shot from a closer distance. Close-up photography will help your camera correctly focus on an important object and set exposure parameters more accurately. Often a detailed picture is much more interesting than an overview. However, when photographing animals or strangers, keep safe distance. 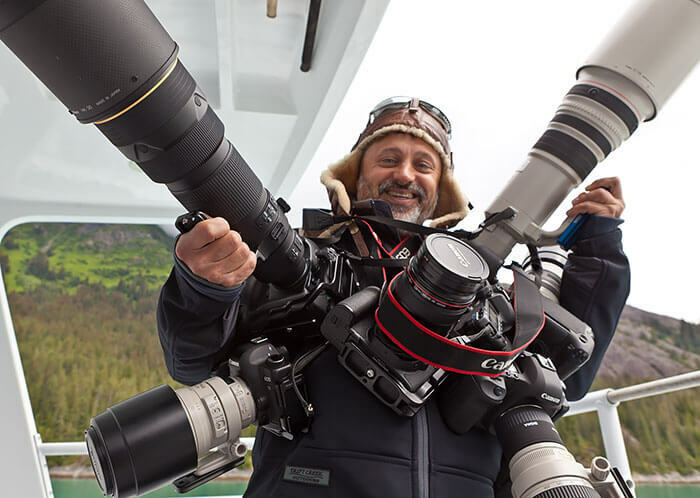 Every photographer has to move all the time. The only exception is the moment when shutter is released. Look for beautiful angles, do not be afraid to photograph close-ups (without using a zoom or telephoto lens). Do not be afraid to take a picture with wrong settings or photograph weird places. 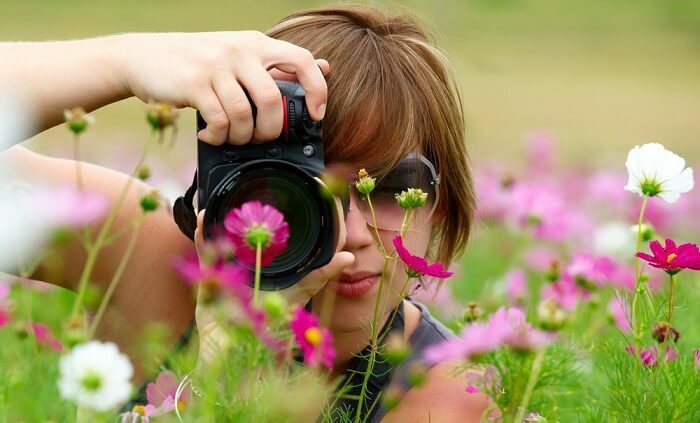 You would be surprised to know how many newbies do not know basics of photography. And at the same time they can not understand why their images are not that good. 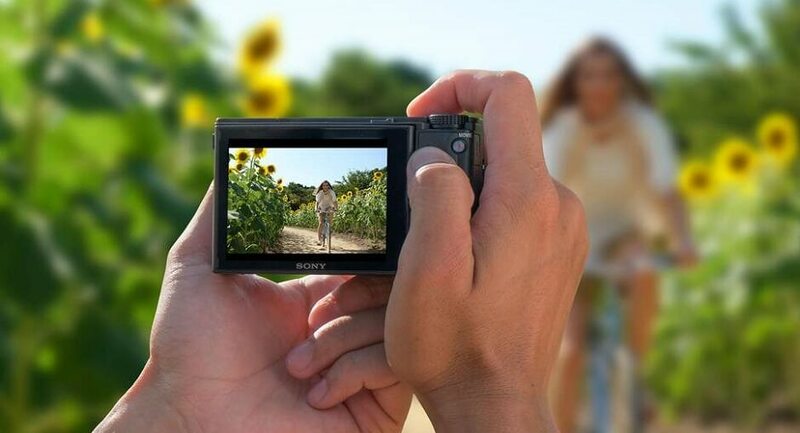 However, before you skip this technique, think of how small digital cameras have become. How many buttons and signs are located on a minimum area, and if you accidentally press any of them, results can be compared to a disaster. The moment will be lost and you will lose a great option for a shot. Some camera buttons may be located in the most inconvenient places, and holding it with two fingers is not the best option. That is why use your right hand index finger to press the shutter button. Be careful not to press any button with thumb (except for ZOOM if it is on the back side of your camera). Make sure that other fingers do not overlap any windows (or holes) on the front, because there are usually sensitive elements. Left hand: the index and thumb will hold the camera by the top and bottom surfaces, respectively. There is a number of great masterpieces made by simple digital camera or even smartphones without any expensive tools and assistance. This experience should teach you not to sale your home and car to buy the latest technology. Its is not going to guarantee successful results. 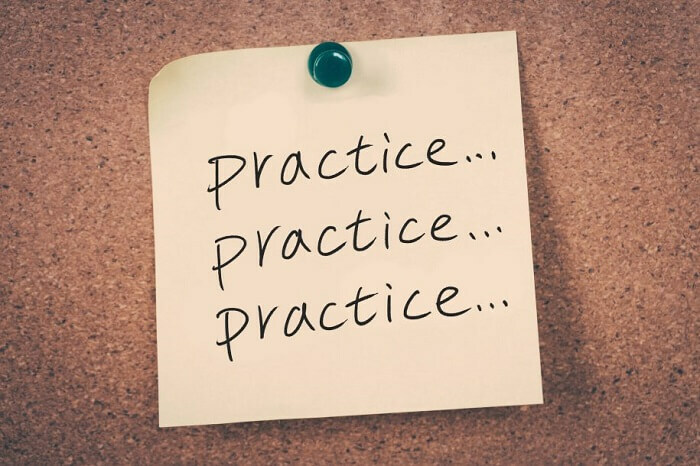 Start with practice and simple rules to remember, as well as choosing your style. After that will come a moment to buy something personalized and professional. Using “frame re-arranged” photo shooting method, the most important subject in a photo will always be the sharpest, this is how professional photographers take it. But, sometimes it is difficult to catch the necessary moment of the event, especially if you are making a picture with a camera and slow shutter speed. Most cameras with autofocus imply a two-level pressing of a shutter button. Pressing the shutter button for a half includes automatic exposure metering and autofocus. 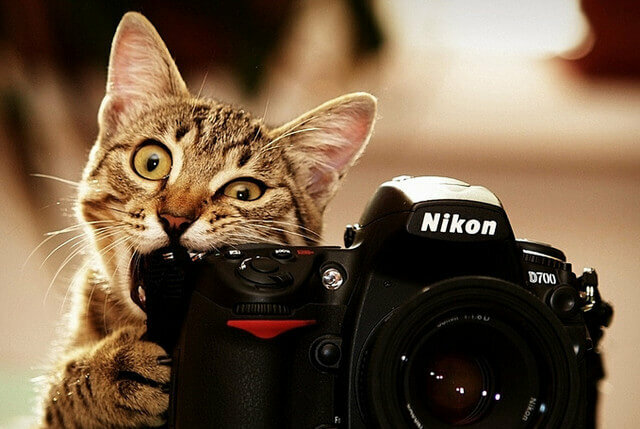 Fully pressing a button – takes a photo (releases the shutter). Two-level pressing allows you to pre-select an object in a frame to set the focus and exposure parameters, and after fixing all settings it is nice to capture the frame. In S shutter speed priority mode, a non-blurry moving subject will look better. On the other hand, if you want the background in the photo to be blurred, choose A mode – the aperture priority. 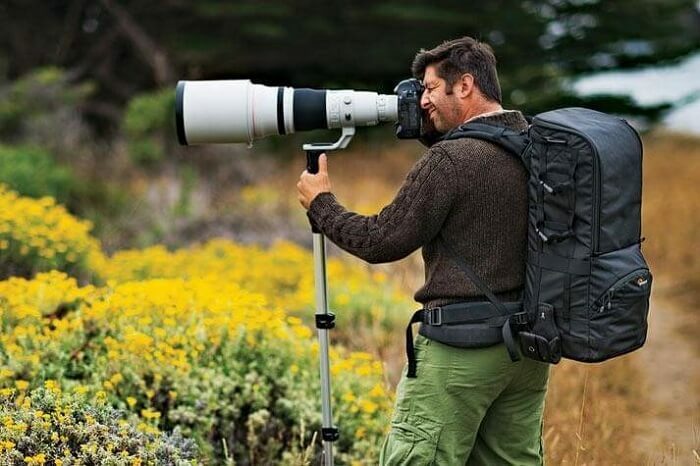 However, in this case, you may need a tripod to be sure to succeed. If the subject is not moving, it is appropriate to use the aperture priority mode. This will permit you to control the aperture. Select the aperture according to your ideas and plans. An open diaphragm blurs the background. Closed aperture, on the contrary, makes all objects sharp! When photographing moving objects, do not forget: the faster it moves, the shorter shutter speed is required! Place main objects in the frame so that they are located on lines dividing the frame into three equal parts vertically and horizontally. The upper and lower horizontal lines show where the horizon line should ideally be, regardless of whether you are shooting a beach with clouds, or a moving wave, or something else. Vertical lines are used for shooting vertical objects, including people.The intersection points of horizontal and vertical lines are called focal points. Focal points are perfectly located on a right level of a human's eye, and it happens subconsciously for all of us. Therefore, the focal point is an ideal place to locate the subject of shooting. For an expressive portrait, we need at least a subject (or its most important part) at the focal point and clean and beautiful background. Successful portrait is obtained when the viewer is not distracted by other elements and details. It is a very complex option to place only the face of a person in the frame. Do not be afraid to shoot face close-up, just do it professionally and place the object carefully! Proper exposure is very important for getting a pretty image. This is the most important component of photobasics. 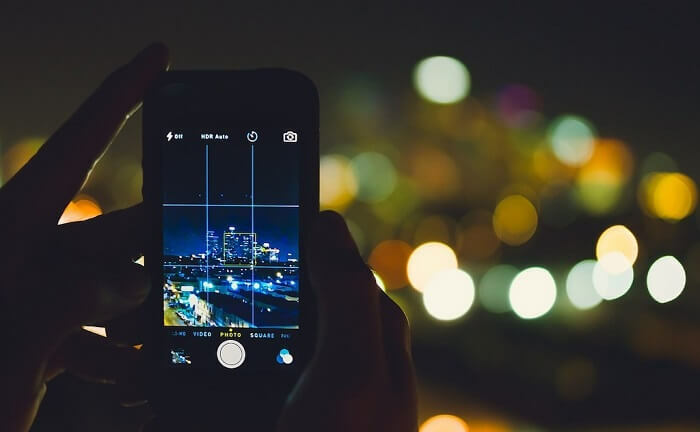 Since the art of photography is partly a subjective assessment of the picture, experts are determined by their ability to take a picture with correct exposure in any lighting conditions. If you are working in AUTO mode, the responsibility for correct exposure is shifted to your digital device. Depending on how smart it is and how fortunate you are with necessary lights, the result can be both successful and not so good. 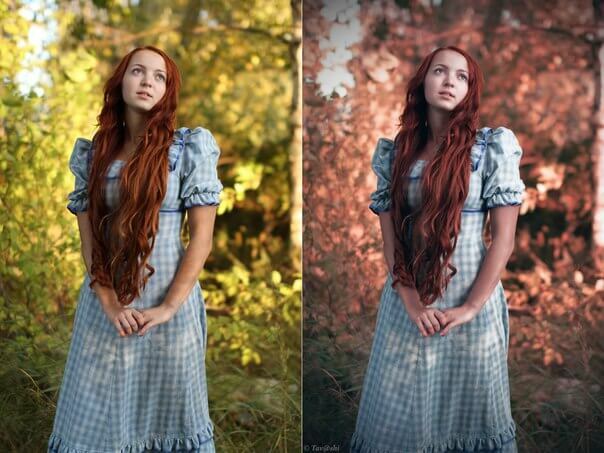 Setting correct exposure means setting shutter speed and aperture. Ideal exposure is not a universal concept, each moment requires individual options, in accordance with specific conditions. When situation with light is complicated and you hesitate if you need more, do not neglect the built-in flash for contrasting shadows. And never turn on the flash with a lack of other light sources! Even a perfect photo will turn out to have flat faces with bright spots and almost black background. A powerful camera flash can be used as the main source, but in order to avoid harsh shadows and flat faces, never point the flash directly. To make it softer, try a tip to direct it upwards to obtain a great reflection from ceiling and walls. Digital camera can adjust to color temperature of every possible light source. This ability is called white balance setting. 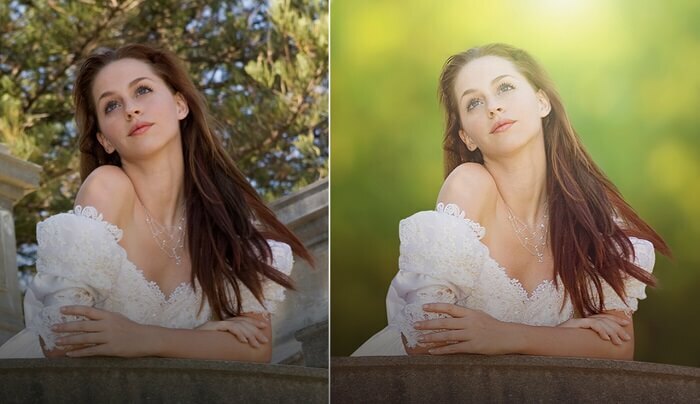 Automatic white balance setting is indicated by AWB – Auto White Balance. In difficult lighting conditions, your camera cannot accurately set correct colors. 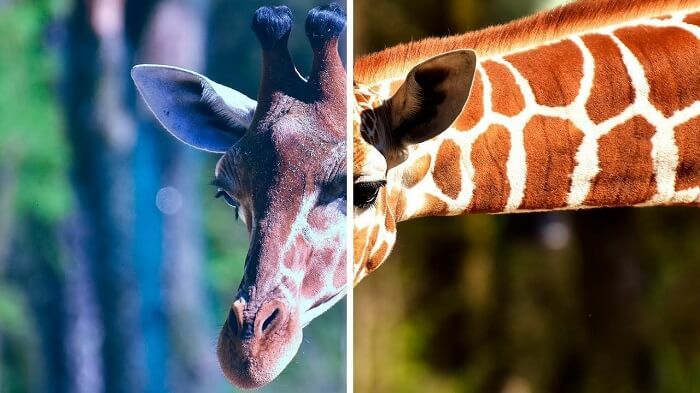 Most often this happens when light is mixed from various sources with different color temperatures. For example, daylight and lamp. Wrong white balance setting lead to incorrect color rendering and image distortion! Learning an important rule can change your shooting results. While making pictures, watch objects on the display that should be white and compare their real color with the color on a screen. This nice and easy habit will save a number of great shots. 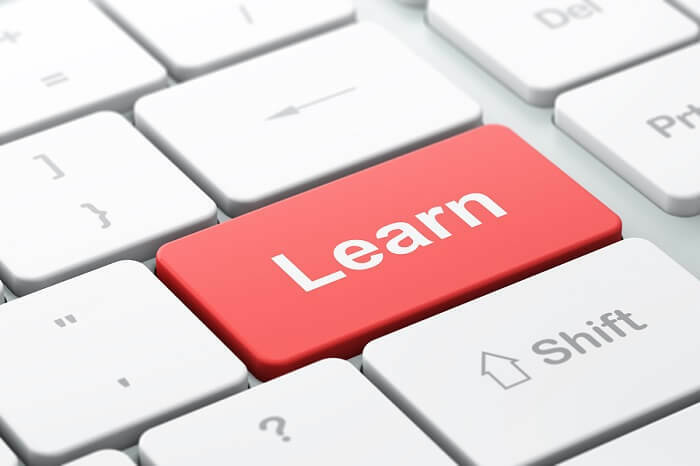 Do not stop on learning something new. All professionals have different experience in various photography fields and have own instructions to achieve success. Download free classes and albums of well-known artists to pick up useful tips. Enjoy the process and ask for advice if necessary. Most experts are glad to be estimated and appreciate questions and requests from talented beginners. Useful tips and advice can be found online, watching number of tutorials and downloading lessons for newbies. But there is a thing you can not learn and obtain even with the help of experience or details infographic guides.The impression from a picture you show to a viewer is not an item to be controlled. 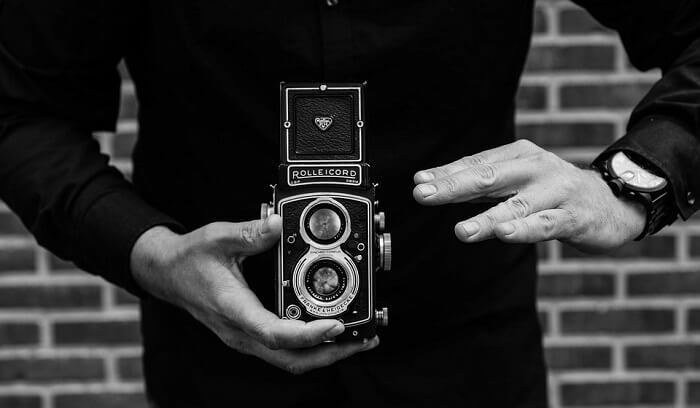 Photography tips for beginners at our website teach how to avoid common errors, but final impression depends on the viewer. Family album pictures, for example, are designed to “awaken” the memory of participants of a particular event. These memories, associated with depicted events, faces of friends, their speech and mood will immediately pop up in the head of a viewer. For other people these shots have no artistic or emotional value and their feedback may be absolutely different and sometimes even disappointing for an author. Perception of same events by people of different social groups is influenced by various social factors. Each person is able to “understand” the image independently, based on his own life experience. It does not matter if you like it or not, but post-processing is essential for every kind of photography. 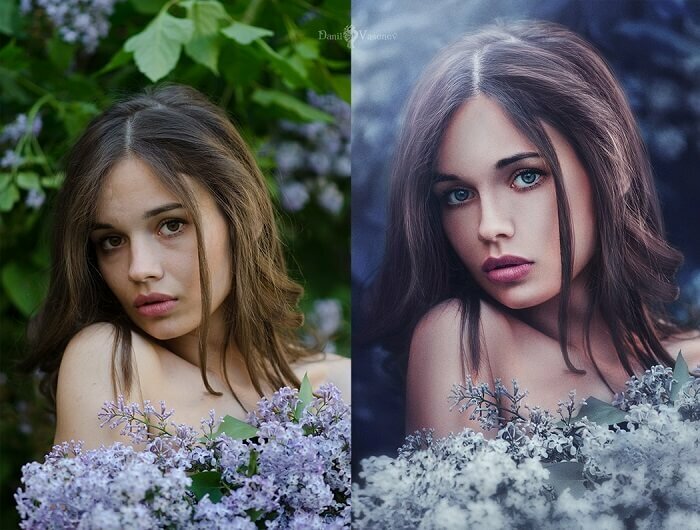 The idea is not about your level of professionalism and quality of shots, but improved final result. Small insignificant factors may cause big disappointment after printing. Online applications and free programs help to reduce possible mistakes and correct visual distortions. Stay positive and active making as much shots as possible in every moment of your life. Beginning photographers usually think that masterpieces in their work should come only with one successful shot. But you never know if this shot is going to be done now or after 10 years of practice. Transforming your hobby into manual art is something more than just an action. It is a talent, which can be fueled with a strong will and patience. Make a lot of pictures, but always think about the story you offer to the viewer. Do not be afraid to make mistakes, analyze your work, correct errors and write down your ideas and “discoveries” to publish one day at the website. It is so interesting and satisfying to become an expert in photography for beginners, completing a new level of professionalism. And finally, some reason why everything you have read here is really useful. All digital devices have special pre-set modes: landscape, portrait, sport and so on. And for these modes cameras usually suggest parameters exactly for this kind of caption. However, automatic modes are suitable only for simple typical scenes. As soon as you go beyond the mindless clicking everything around, you get the plot pictures – here you can not rely on automatic decisions. It is better to control all above mentioned settings and elements. For example, you are making pictures of playing children. Newbies set “Portrait" mode and get blurred, really so much blurred images. After all, children are actively moving, so they need to be captured like sports stories. Another example: you are making a group portrait with several people, sitting in the first row and others in the second row. Which mode is more appropriate? Absolutely no portraits, because the depth will be very small and faces will result clear only for the first row. And this is despite the fact that you are, in fact, working with headshot, collective one. Bright example of common errors of landscape pictures, is when you are trying to memorize a historic castle located on the opposite bank of the pond. Original image is covered with reeds growing in the pond. If you properly diaphragm the lens, as it has to be usually done, these reeds will become quite sharp and will distract attention from the castle. It may be surprising to discover that portrait mode will work better here, blurring the foreground. As you can see there are many unexpected solutions for a successful shot. So try everything you can and create your own trend in this modern and picturesque art.